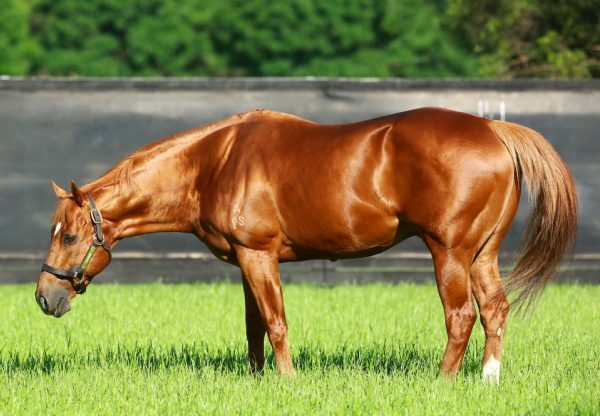 A speedy chestnut, like his sire, top class gelding Japonisme (3g Choisir x Haiku, by Encosta de Lago) again proved his superiority over his three year-old sprinting peers when claiming the $500,000 Group II ATC Arrowfield Sprint at Randwick on Saturday. Prepared by Chris Waller, Japonisme won the Group I VRC Coolmore Stud Stakes in the spring before spelling and in three runs since then, all against the older sprinters, has performed really well without winning. 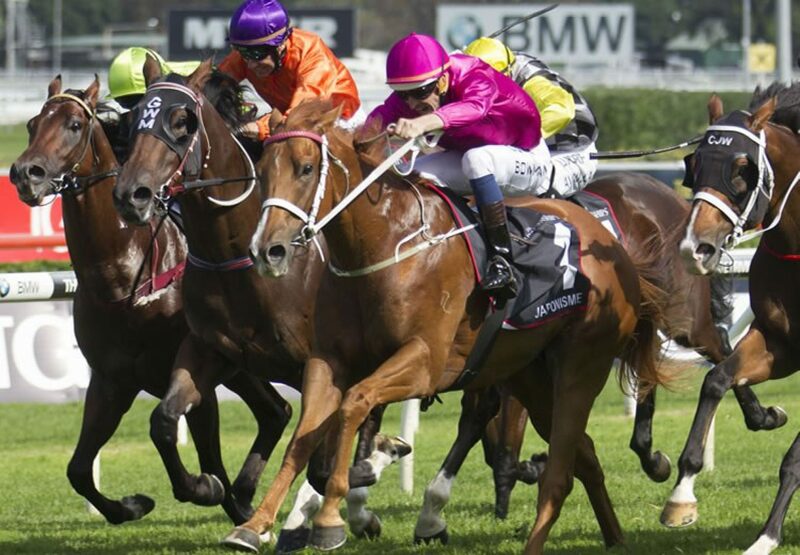 Sent out favourite for this 1200 metre sprint, he prevailed to win by a nose under a skilled Hugh Bowman ride. “It was a bit of a tactical race,” Bowman said. “Full credit goes to the horse however in saying that, he had a bit of a look around in front and nearly threw it away. 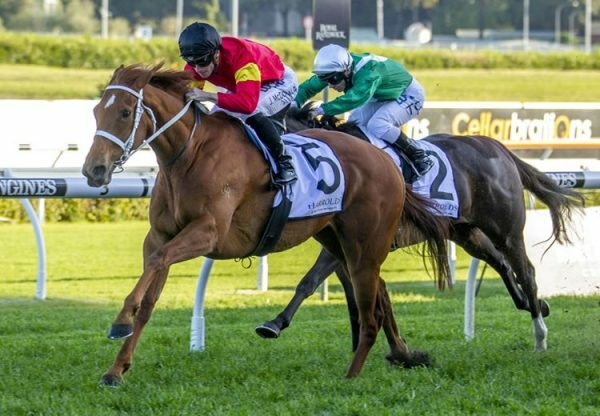 I think he is a better horse on top of the ground.” Japonisme just held off the finish of his stablemate Counterattack, who was third to him in the Coolmore Stud Stakes in the spring. 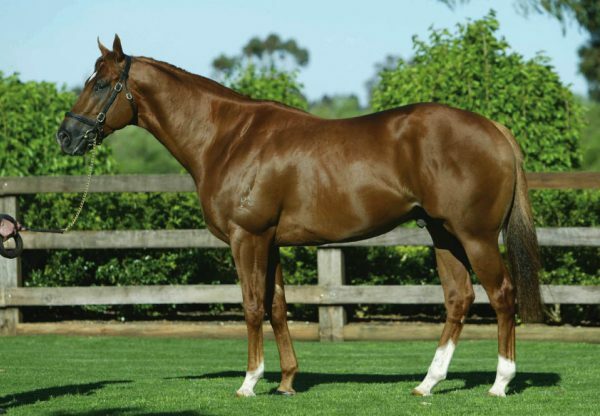 One of 73 stakes-winners worldwide for our stalwart sire Choisir, Japonisme now has the overall record of six wins and five placings from 14 starts with prizemoney of $1.1million and change. 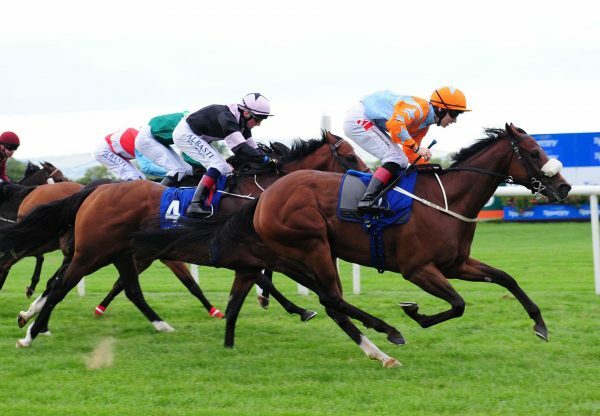 A homebred for the Ingham family, Japonisme was foaled and raised at Coolmore and is the second foal and second winner for Encosta de Lago mare Haiku, a half-sister to Group I New Zealand Oaks winner Tapildo and Group II STC Silver Slipper winner Plagiarize.